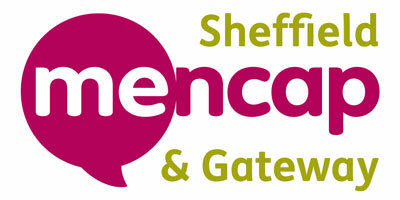 The Carers Outreach Project (COPe) is a brand new project from Sheffield Mencap & Gateway. COPe works with family carers who care for someone with a Learning Disability and/ or autism. The project brings together a group of carers and those who they care for in fortnightly sessions which run from 10:30am-3:30pm and are free of charge. During the session some carers stay and help during the activity, the others will leave knowing their loved one is in safe hands. Carers take it in turns to stay for the activity or have a respite break. Visit us: Sheffield Mencap & Gateway, Norfolk Lodge, Park Grange Road, Sheffield, S2 3QF. SCP has been providing support for families of persons with a learning disability for over 20 years. Although reduced in capacity in 2017, the passion to support families remains with the launch of K.I.T.S. K.I.T.S. works with the Sheffield Carers Centre and focuses on supporting families aged 55 years plus who are caring for a person with a learning disability at home or regularly support a relative living elsewhere. The aim of K.I.T.S. is to provide a keep in touch service for families and help them to develop plans for the future and emergency long term plans. Regular, useful, information sessions are held for families around various topics and, if needed, face-to-face appointments at Sheffield Mencap are available to discuss issues or concerns in more detail. Capacity for home visits is very limited but appointments can be arranged where necessary. The service is provided by Kirsty Worstenholm and Cathy Oliver who are both highly experienced in working with families and carers.